Actually there is very limited interaction or communication between the transportation system and the community the transportation system is servicing. To residents the Teleférico is an alien presence over their heads and there is little sense of ownership of it. 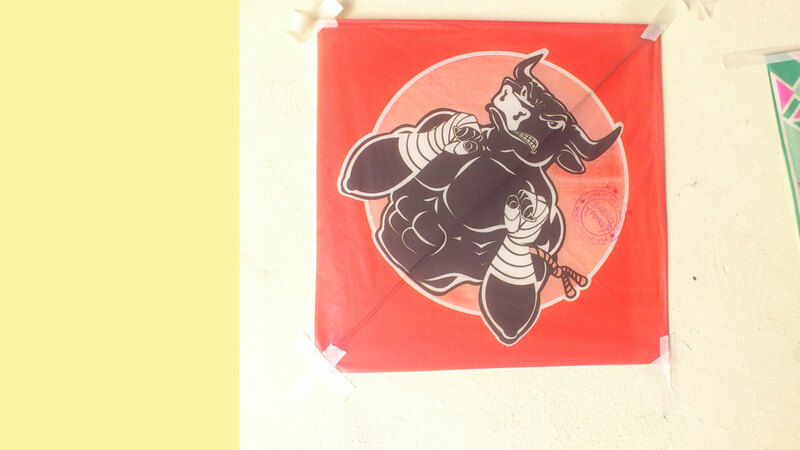 But we did notice that a local tattoo artist was advertising his business to the Teleférico by simply painting his name and number on his rooftop. 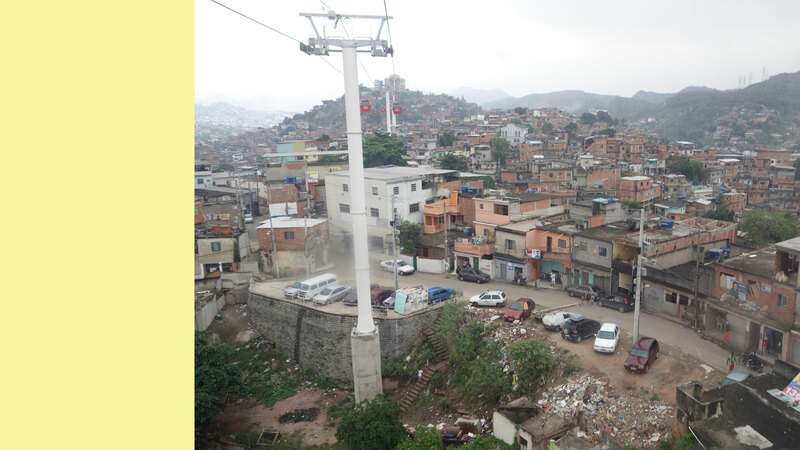 With global events like the World Cup Football 2014 and the Olympics in 2016 approaching and growing numbers of people hovering over the favela, it might be an idea to start using the Teleferico not only for the transportation of people but also for the transportation of ideas. 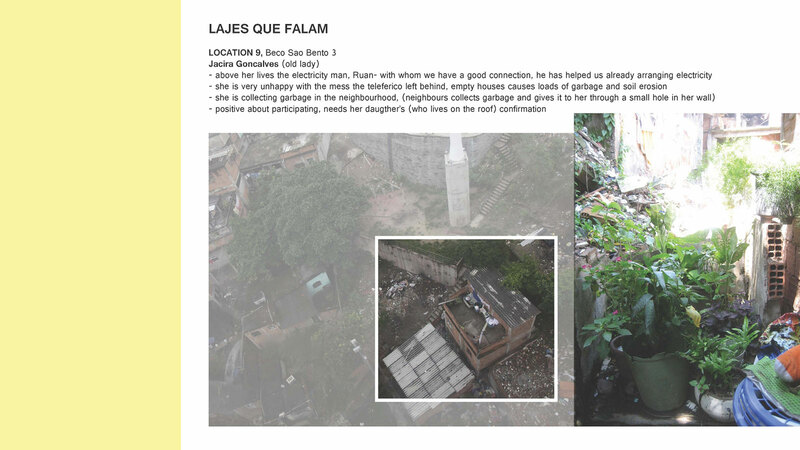 That’s how we came to develop the project ‘Lajes Que Falam e o Comuniférico’ – ‘Roofs that Speak and the Comuniférico’. 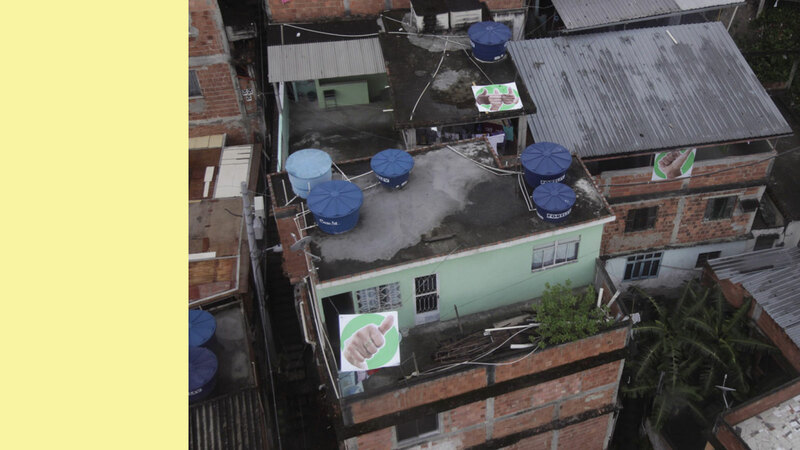 22 residents opened up their rooftops to display huge photographs of raised thumbs, the informal greeting on the street. 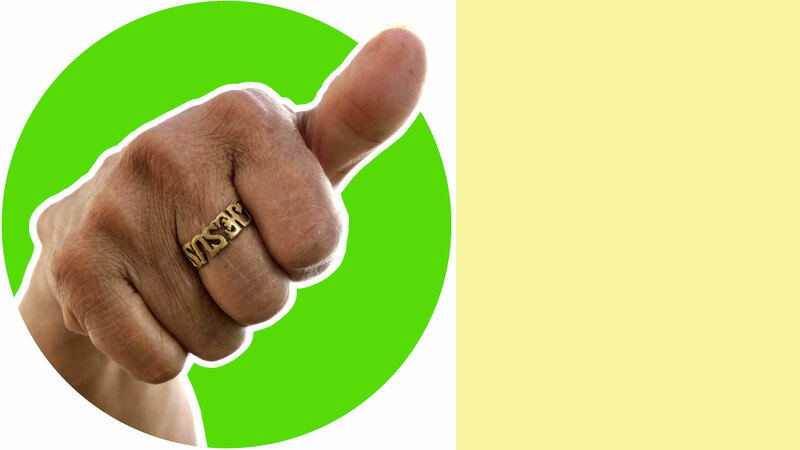 These images communicated with the Teleférico overhead - with the residents’ thumbs pointing up and down, showing their ambiguity feeling towards the flashy project over their heads. Research project in collaboration with Cascoland; Fiona de Bell, Roel Schoenmakers, Bart Majoor, Wouter Nieuwendijk and Jair Straschnow. For the construction of a cable car system, the Teleférico, connecting Bonsuccesso at the bottom of Complexo de Alemão with the station of Palmeiras at the top, a strip of houses has been demolished. As a result a lot of in-between spaces emerged that could well be used for all kinds of public purposes. 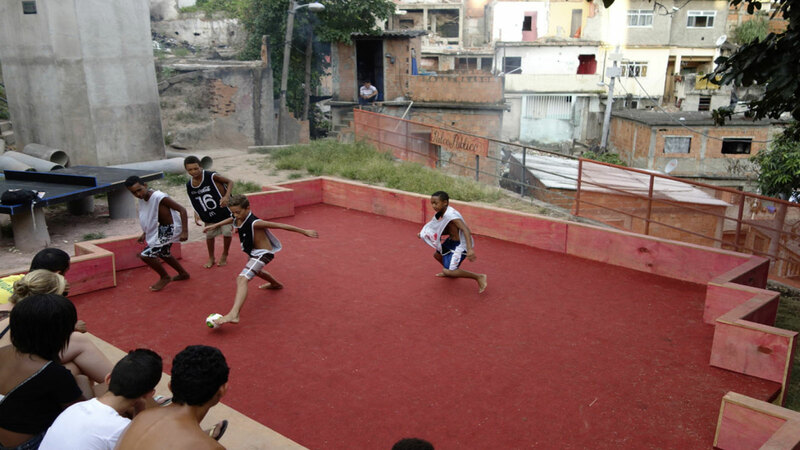 Alvorada is a densely populated area and there are few public spaces. 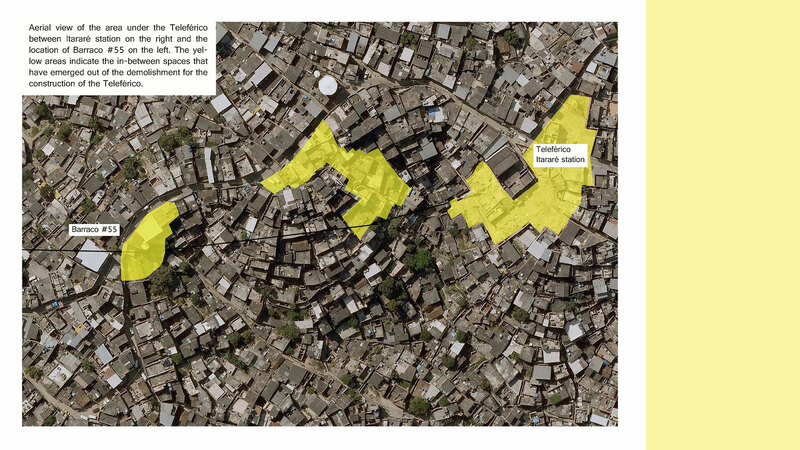 Plans from the authorities for development of the empty spaces are not yet being executed. This in-between stage provides opportunity to think about the design of neutral public spaces, not connected to existing structures, multi-functional, accessible to all, safe and clean. 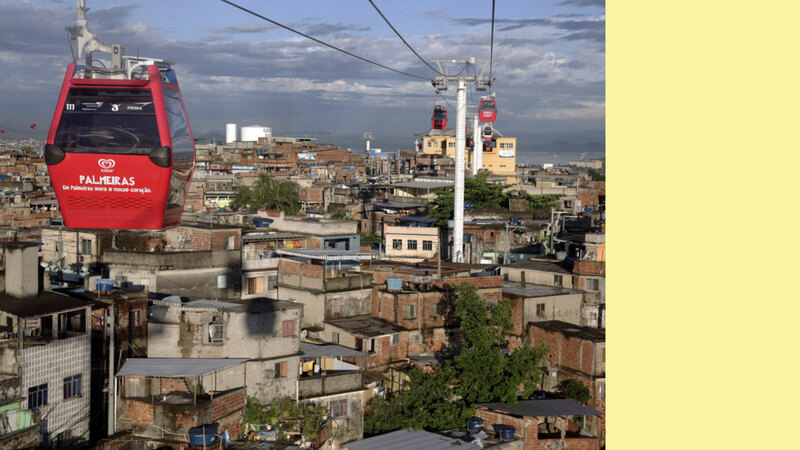 Travelling in the Teleférico one sees a sea of streets, rooftops and vacant plots below, but there is a sharp contrast between the experience of the Teleférico and the reality on the ground.